If you read my bio in the “about” section of this blog you’ll see that since returning to live in Israel in August, 2012 I did a manicure/pedicure class since almost all estheticians here in Israel also do manicures and pedicures. As a matter of fact it’s pretty much a given that you do these services here in Israel when you tell people you’re an esthetician, and a lot of people assume that you also do artificial nails. Unlike in the US where you learn how to do manicures, pedicures, and artificial nails in the course of learning how to be a nail tech here in Israel the artificial nails class is offered separately. I actually signed up for both courses simultaneously and am now nearing the end of my artificial nails class. If I can be totally honest when I started the class I wasn’t happy; I couldn’t figure out why I was learning this skill. Except for at my wedding I have never worn artificial nails, and I hated having artificial nails at my wedding (though I didn’t hate my wedding, luckily :)). But as the class has progressed I’ve become more and more impressed by the skill level of nail techs who create artificial nails well have. 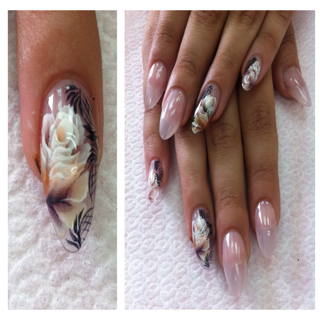 When done at a high level this nail service is really an art form. The other reason I started to like my class so much was that I was lucky enough to have a great teacher – Oshrat Chen. 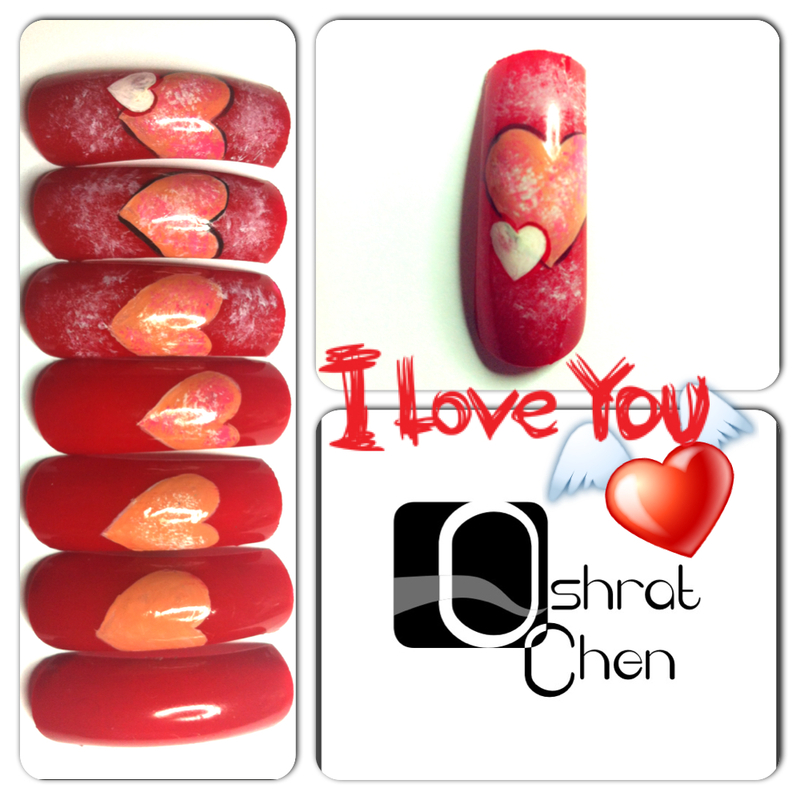 Oshrat’s skills in creating artificial nails were very apparent from the beginning and her nail art skills are amazing. All the photos in this post are examples of Oshrat’s work. 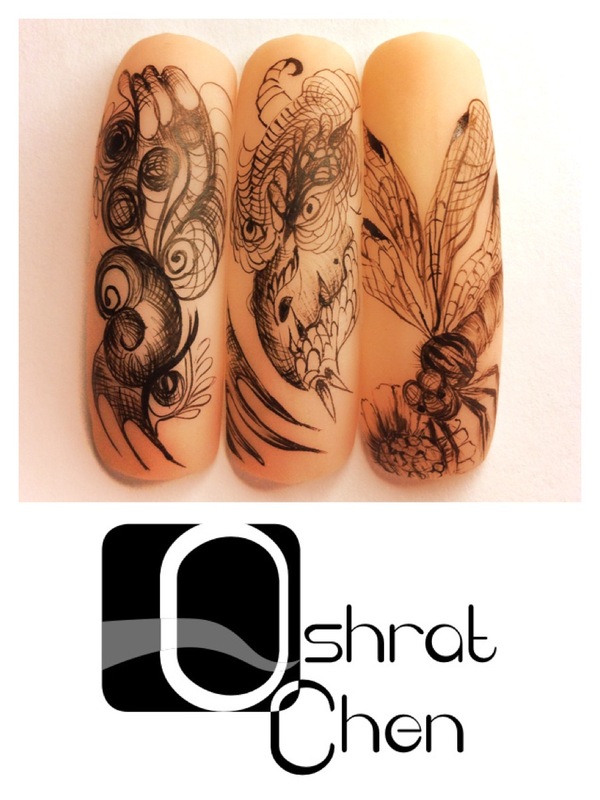 Only today, three months into my course, did I find out that Oshrat has won Israeli nail art competitions and has placed in the top ten in international nail art competitions. So happily I get to learn from the best. A few words about nail art: practice! It took me forever to learn how to apply nail polish correctly (and I still think I could improve), and I am still working on perfecting my french manicure technique. There are tons and tons and tons of nail art tutorials out there (I pin them like crazy on Pinterest), but you do not realize how much skill you really need in order to create these designs until you try to recreate them yourself. Don’t give up, keep trying. If I can do anyone can do it. Consider taking a class if you can with a skilled nail artist. Hands on learning with a master who can see (and correct) your work is priceless. And above all – have fun! 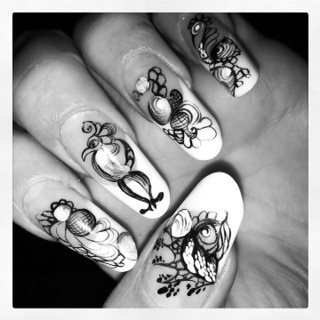 Nail art, though an art form in my opinion, isn’t a strict discipline. Everyone can create something that they love and share it with the world via Instagram and Pinterest (to name just two out of many sources for nail art inspiration). Nail art can be 3D as well. Lastly, nail art isn’t limited to a few different designs. Let your imagination run wild. Designs can be anything from a new take on french manicure, to flowers, geometric designs, or like Oshrat’s designs here for artificial nails – designs that could easily be translated to canvas. 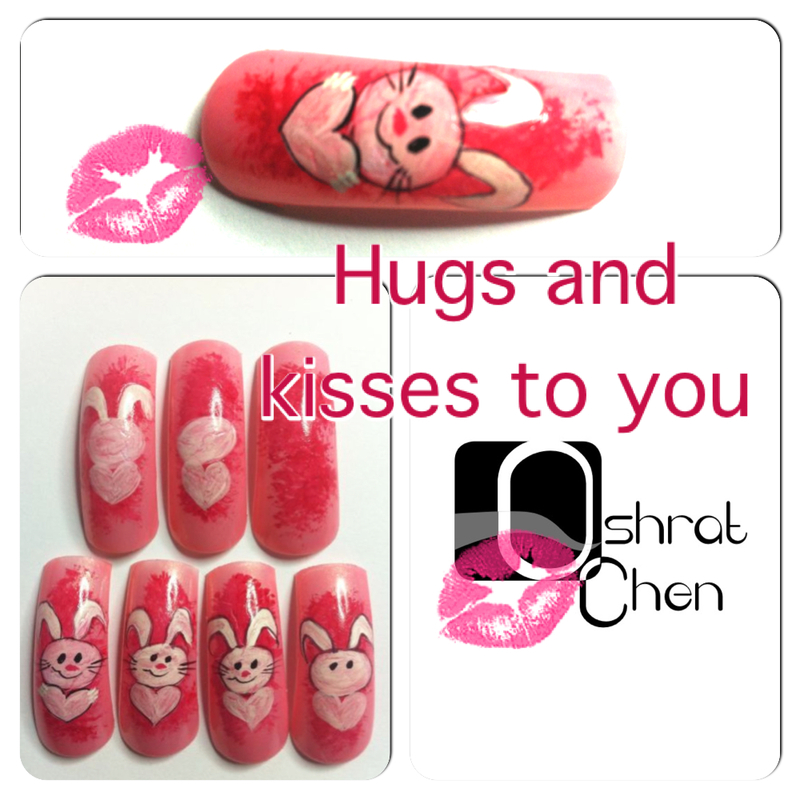 Oshrat was nice enough to share photos of two nail art tutorials with me so I could share them with my readers. If you give them a try be sure to let everyone know how they turned out for you. If you want to see more of Oshrat’s work visit her Facebook page. Don’t be alarmed that her page is all in Hebrew. Oshrat speaks English very well if you would like to contact her.